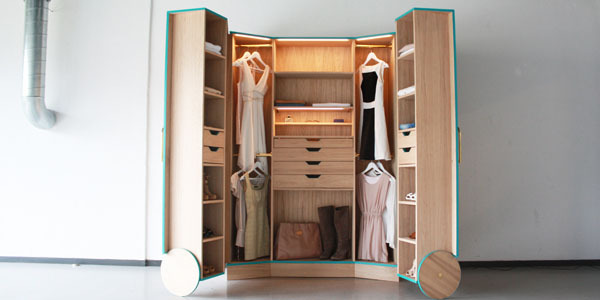 This functional closet opens out into a mini walk-in closet. 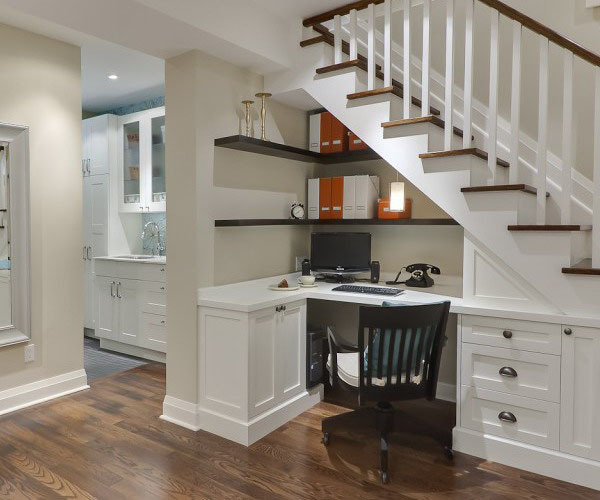 It is ideal for small studio apartments or bedrooms that lack built-in closets. 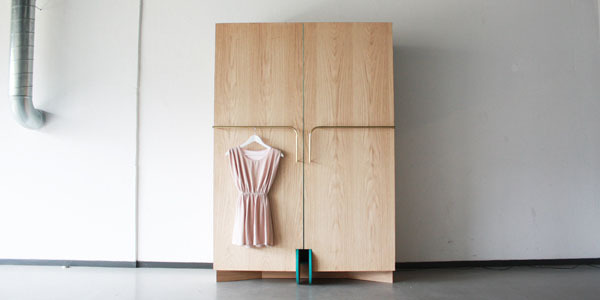 The movable wardrobe is complete with mirrors, drawers for accessories and shoe shelves.